This week the 6 Music Breakfast Show have been honoring some of the biggest and most influential names in music. Keith Richards and Johnny Marr have already been in chatting to Shaun during Legends Week, and Chris Cornell will be in tomorrow – but on Now Playing this Sunday we want you to help us build a show around today’s guest, Noel Gallagher. Without doubt he’s one of the most influential artists of his generation. He helped Oasis establish themselves as poster boys of Brit Pop in the 1990s, while their success continued well into the new Millennium until their acrimonious split in 2009, which set the path in motion for Noel to form the High Flying Birds. With controversy, spats and sibling rivalries throughout his career he is unquestionably a rock and roll star, and will forevermore be regarded in the highest esteem thanks to his songwriting, musical talent and distinctive voice. Get involved by leaving your suggestions and stories below, post them on our Facebook page, you can Tweet us using #Noel6Music, e-mail us, or add your suggestions to our collaborative Spotify playlist - but be warned, Oasis aren't on Spotify so use it for influences, collaborations and so on. If you love this legend, don’t miss out on two hours of the music he’s made, influenced or been inspired by on Sunday from 6pm. 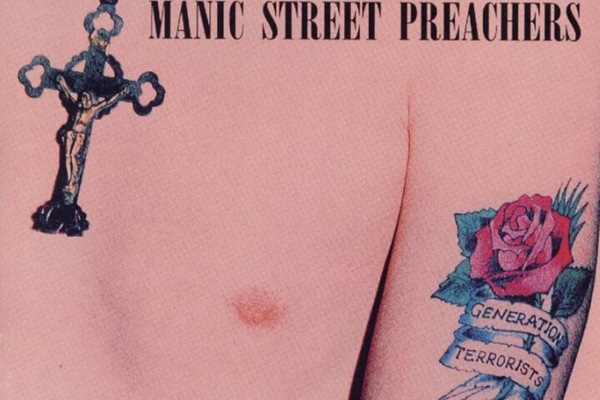 Twenty years ago Manic Street Preachers released their debut album Generation Terrorists. Its blend of buzz -saw guitars and political sloganeering launched the career of one of Britain's most successful alternative rock bands and got everyone talking when they told the music press that it was going to sell a million copies after which they'd promptly split up. Thankfully they didn't keep their promise and the Manics have gone on to be one of the most influential bands of the last two decades. This Sunday on Now Playing we want you to help us celebrate their unmistakable impression on British music by creating the Ultimate Manic Street Preachers Playlist. So when you think of James Dean Bradfield, Nicky Wire and co - what instantly springs to mind? * Is it one of the band's classic singles or one of your favourite B-sides or album tracks? * Collaborators and conspirators from The Cardigans' Nina Persson to Gruff Rhys via Shirley Bassey... Oh and don't forget Kylie. It's up to you - to get involved leave your suggestions below, post them on our Facebook page, Tweet them to us using #Manics6Music, e-mail us or add suggestions to our collaborative Spotify playlist. And remenber, if you're a Manics fan it'll be the music you love for two hours on Sunday from 6pm.